Peanut by Ayun Halliday & Paul Hoppe. Schwartz & Wade Books, 2013. Currently available. and I do like seeing that on a graphic novel cover. Does it break the slate? No, it did not. There are some situations when pretending that you are something you are not can be Slatebreaking. For example: I recall reading historical fiction about a woman who disguised herself as a man so that she could serve in the military during the Civil War. That was a Slatebreaking concept. To pretend that you are something you are not simply to get attention and stand out at a new school is not Slatebreaking. It’s still an enjoyable book, though, and there is a lesson to be learned from Sadie’s mistakes. Sadie soon figures out that she will have to report her fake peanut allergy to the school nurse. She also orders a fake medical alert bracelet, and even looks into buying an Epipen – all behind her mother’s back. The ruse becomes so overwhelming that Sadie soon wishes she had never invented it in the first place. She starts looking for ways to explain it away, but she’s in too deep. Her new boyfriend has taken to calling her “peanut” and even gives her a peanut necklace as a memento. At this point, Sadie would reveal herself to be a complete fake if she were honest about her lack of allergy. Such a complex lie, of course, is not sustainable. A school bake sale with peanut-infused goods is Sadie’s downfall. An ambulance is called, and she must explain herself to some very angry paramedics. Even though she alienates most of her new friends with her lie, there are a few who stick by her and try to get to know the “real” Sadie. It’s a tough lesson for her to learn, but ultimately I think that Sadie will be a better person. Sadie’s story may be kind of goofy – an entire book about a fake peanut allergy feels like a thin concept – but I did find it to be sweet. Sadie’s pretend allergy was a stupid idea. However, I think that Sadie’s urge to want to stand out is reflective of the pressure we put on teens to be unique, special, and one-of-a-kind. Sometimes the pre-teen years are just too early to know what you’re good at yet. The pressure of defining yourself so early in life can be detrimental. Sadie is not a bad person. She’s just a girl trying very hard to be special when she doesn’t really need to. Peanut is not a Slatebreaking book. Sadie is not a particularly good female role model. 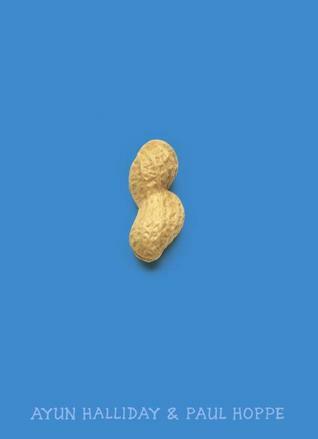 It is not groundbreaking, but Peanut is an enjoyable graphic novel with appealing artwork. Sadie’s mistakes can lead to worthwhile conversations about personal identity and honesty. Reviewed from a copy purchased on Amazon.com. I know. I’m awful. This entry was posted in Graphic Novels, Reviews, Young Adult and tagged allergies, Graphic Novel, new school, peanuts, transitions. Bookmark the permalink.